I was asked if I would be interested in conducting some interviews of speakers who are going to speak at The Eleventh Annual Southern California Linux Expo (Scale11x) February 22-24, 2013 Hilton Los Angeles International Airport and needless to say I jumped at the opportunity. This is my first interview with Jorge Castro of Canonical and we discuss Juju, MaaS, Ubuntu Cloud, and his upcoming presentations and workshop. Posted on April 17, 2010 January 15, 2013 Author ShocmCategories Geek Stuff, LinuxTags Error, fixes, nagios11 Comments on [Nagios] Error: Could not stat() command file ‘/var/lib/nagios3/rw/nagios.cmd’! Buddy of mine posted a video he had of me when I first worked for Sony as a consultant. Took this video right before I was leaving the gig, sometime in 2004 2002, and we were walking through one of our data centers. Of course the one proud points of achievement I wanted to point out was the fact that I had finally implemented Linux in the environment. Now of course, I am back at Sony and 90% of the environment I am is responsible for is Linux based. I had made mention last week to a couple of friends how I got a few Adobe Air applications up and running on my Ubuntu install. I walked one person through how I did it and decided to also make a quick video tutorial on the process. A couple disclaimers, first one is that I use my Ubuntu laptop on a daily basis and I have had it up and running for awhile so I am not sure if I installed some supporting packages that make this work. I haven't tried this on a fresh default install of Ubuntu. Second, I was trying to keep the video somewhat short so I didn't get into some of the corkyness that I see in the applications, like on Pownce you don't get the embedded video feeds. Remember, this is Alpha software and it seems like how well the applications are written also factors into how well they are going to run under Linux. Hope you enjoy the video. Here are the links from the video encase you miss them. UPDATE: I mentioned in my video how you don't need to save the .air file but can instead just launch it with the "Open With" in the dialog box. This works fine on my Gutsy box but doesn't seem to work on my newer 8.04 Hardy box. Even though Hardy recognizes that the file should be launched using the "Adobe Air Application Installer", I still get the error that "the associated helper application does not exist" when I trying using it. You can however save the file to disk, right click, and select "Open With Adobe Air Application Installer" and it works fine. Not sure why I have this behavior. So typically I would not recommend auto login setting be set for your system but there are some exceptions. For example, when that system is a Virtual Machine running on your desktop. 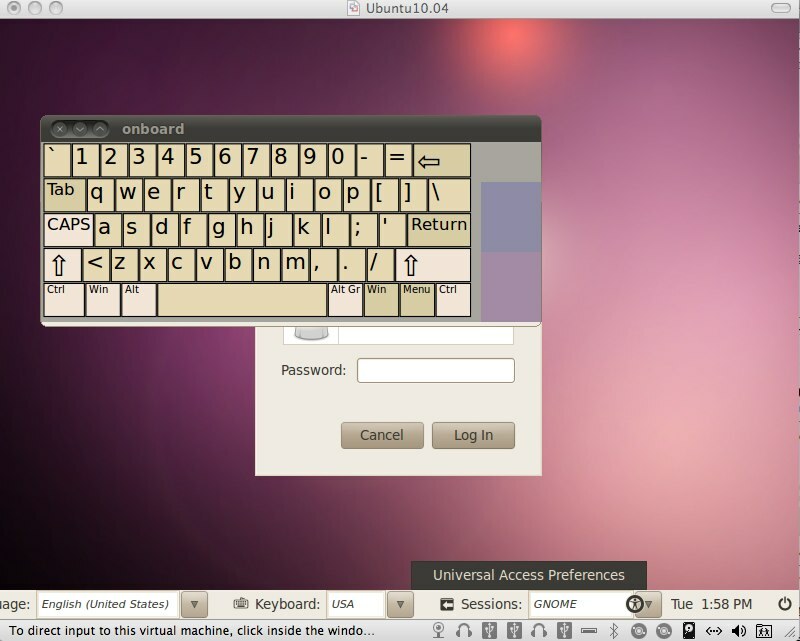 I've been playing around a lot with my Ubuntu configuration on a virtual machine running under VMWare Fusion. I got tired of having to log into the machine every time I booted it when I was already logged onto my desktop of the host machine. So for the first time, I found myself trying to figure out how to auto login my Linux desktop. In my typical “learn the hard way” fashion, I over thought the problem and approach several times before discovering how simple it was. A couple of clicks to be exact. Step 2: This should bring up the “Login Window Preferences” dialog box. Click on the security tab, click the check box for “Enable Automatic Login”, select the user you want to Auto Login as and click close. That's it, couldn't be simpler.